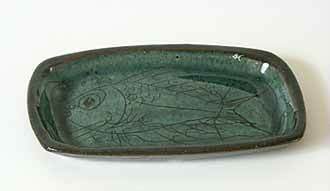 Fish dish - 5½" (139 mm) long, 3¼" (82 mm) wide. This impressed mark is too indistinct to photograph. Does anyone know anything about it?